Providing support, information & resources for Black Unitarian Universalists. 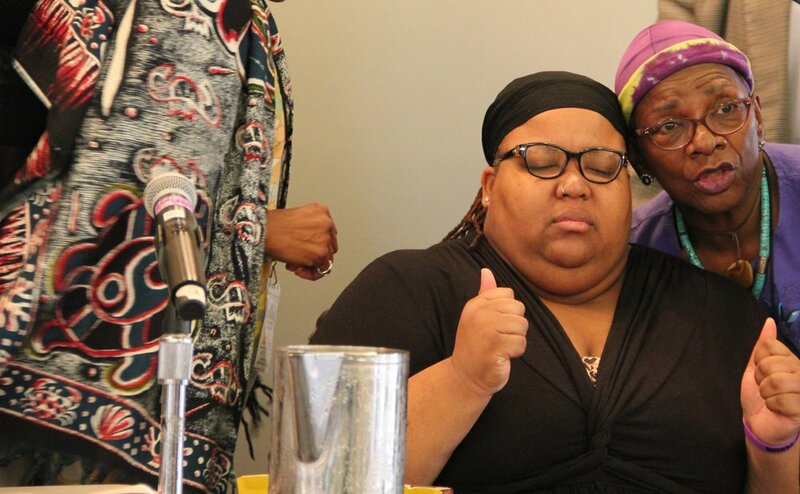 Lena K Gardner is one of the co-founders and leaders of the Black Lives Matter Minneapolis chapter, she works for the UU Church of the Larger Fellowship and is a part of the founding leaders of the Black Lives of Unitarian Universalist Organizing Collective (BLUU). She worships and is a member at First Universalist Church of Minneapolis, lives in Northeast Minneapolis with her cat Merlin and loves the Boundary Waters. She graduated in 2015 with her master of arts in Justice and Peace studies. 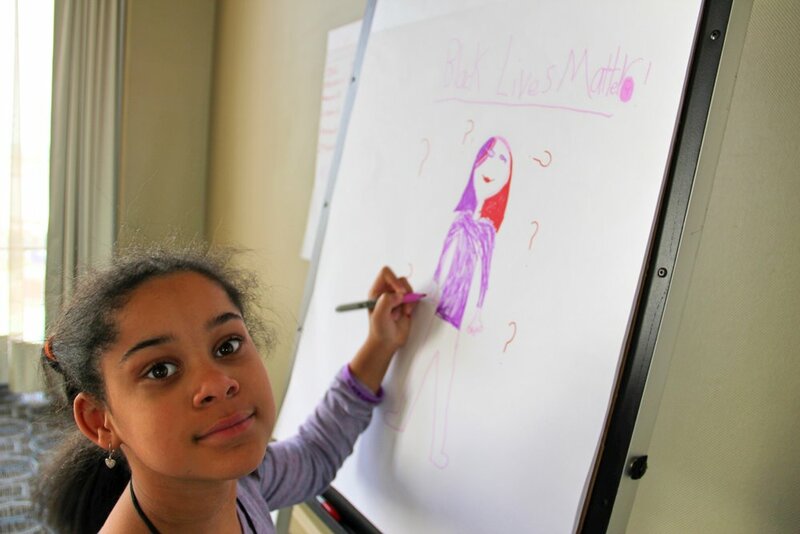 Lena serves as the Executive Director of Black Lives of Unitarian Universalism. Dr. Takiyah Nur Amin is a native of Buffalo, NY and the daughter of Karima and the late Abdul Jalil Amin. An intellectual by training and tradition, Takiyah earned a PhD in Dance and Cultural Studies (with certificates in Women's Studies and Teaching in Higher Education) from Temple University in 2011. She is an active member of the National Coalition of 100 Black Women, an advocacy organization on behalf of Black women and girls. A lover of reading, podcasts, shopping and travel, Takiyah currently server as the Black Lives of UU Content Director. My years in professional ministry and the IT industry served a good pathway when I became involved with Unitarian Universalism after leaving the Anglican faith. This journey took me to Connecticut, where my focus was on Adult Religious Education (chair) and Anti-Racism. I served in leadership in both these areas at the Unitarian Society of New Haven and years later at the UU Church in Meriden, where I also served on the Board of Trustees. I then became a member of the GRACE (Growing Racial And Cultural Equity) Team of the New England Region, leading congregations in AR/AO/MC (Anti-Racism Anti-Oppression Multicultural) initiatives. And then I relocated to Sandusky, Ohio, and made Oberlin UU Fellowship my spiritual base and served as Board President. 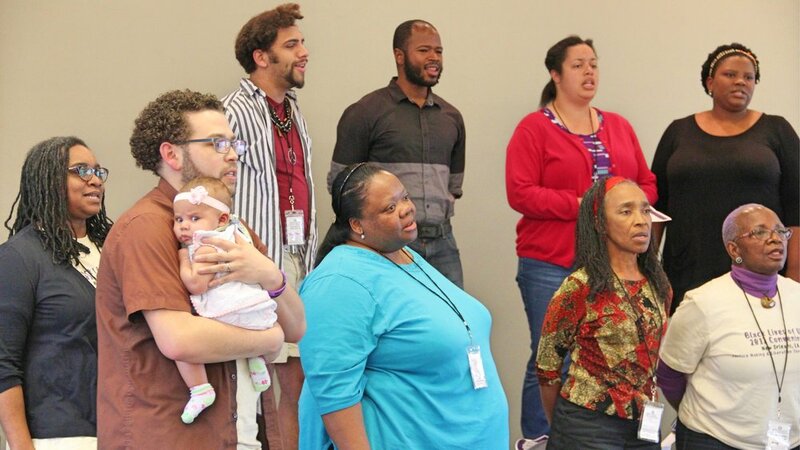 One of my joys was organizing one of the first gatherings of People of Color (POC) in the Ohio Mid-Atlantic District, when ARE (Allies for Racial Equity) held their gathering in Cleveland in 2014. I also served on the General Assembly Planning Committee and currently on the Unitarian Universalist Funding Program. Samuel serves as the Treasurer of the BLUU OC Board of Directors. Rev Kimberly Quinn Johnson serves as minister of the Unitarian Universalist Congregation of the South Fork, on Long Island in Bridgehampton, NY. She has passion and expertise for racial justice work and ministry with youth. Before ministry, Kimberly worked as a union organizer with the UAW. She also taught Women's and Gender Studies at New Jersey City University. Kimberly serves as chair of the UUA Appointments Committee and President of the Metro NY UUMA Chapter. She is also a member of the Central East Region Congregational Life Advisory Council and the Steering Committee for UU Class Conversations. She gets to work in the nexus of faith formation, youth ministry, and racial jutice as a Program Leader with the UU College of Social Justice. And she's likely to be spending her summer working with youth through UU Summer Seminary or Thrive, leadership experiences for youth of color. Rev. 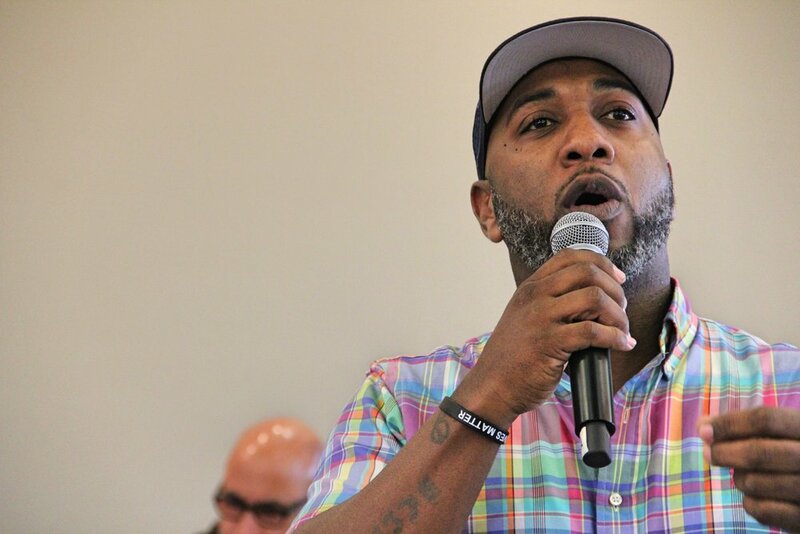 Mykal O'Neal Slack is a speaker, trainer, worship leader, community minister and congregational life coordinator in Unitarian Universalist, Metropolitan Community Churches, and interfaith settings. He has a ministry and calling to nurture spaces where people can connect in ways that heal, not harm, talk about and re-imagine church life that truly honors our differences, and make sustainable changes that are an outgrowth of spiritual practice, deep listening, and active engagement in community. 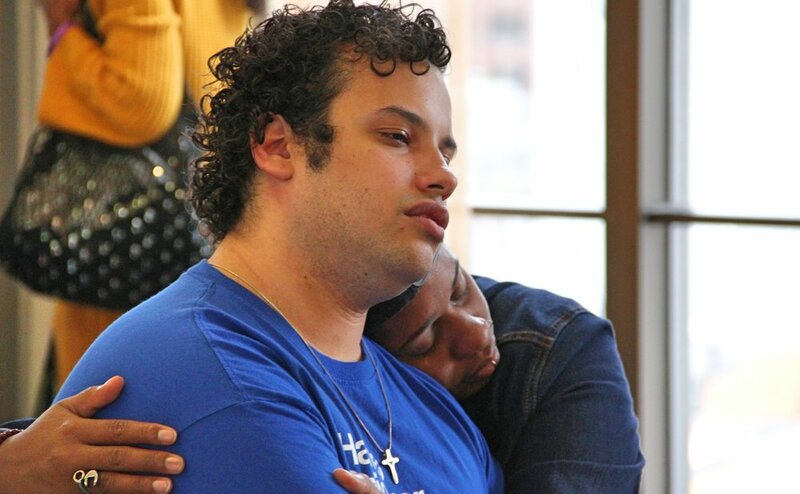 Mykal recently became the first Co-Director of the Freedom Center for Social Justice, a Southern-based, national organization working at the intersections of race, sexual orientation, gender and faith to effect culture shift in workplaces, communities of faith and schools. He has served as the founder and director of 4LYFE, an ecumenical, consulting ministry of Metropolitan Community Churches that develops anti-racist and anti-oppressive frameworks for church life and provides pastoral and educational resources to address sexual orientation and gender identity issues in spiritual communities of all kinds. 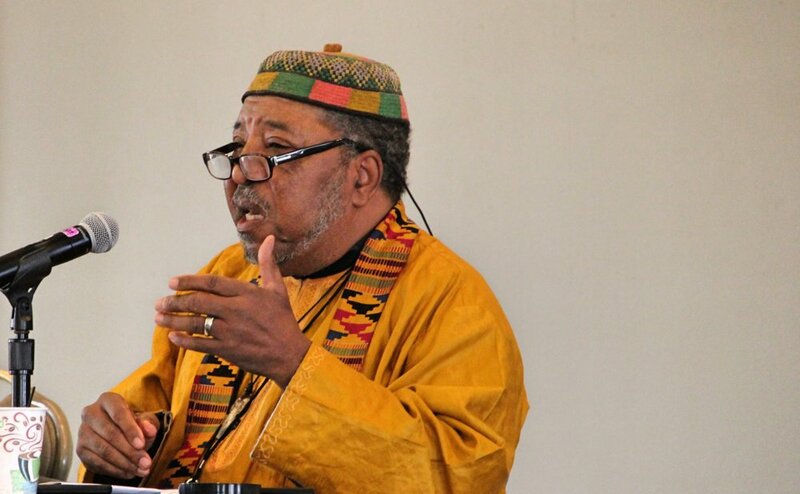 He also served the Unitarian Universalist Fellowship of Raleigh as their first Director of Congregational Life, where his focus was on newcomer welcome, membership, community-building and communications. For his commitment to multicultural culture-building in communities of faith, Mykal was selected as both a Beatitudes Society Fellow and a Movement Fellow for the Southeast House of Soulforce for 2015-2016. Mykal received his Bachelor of Arts degree in Economics from Emory University in Atlanta and a law degree from the City University of New York School of Law. 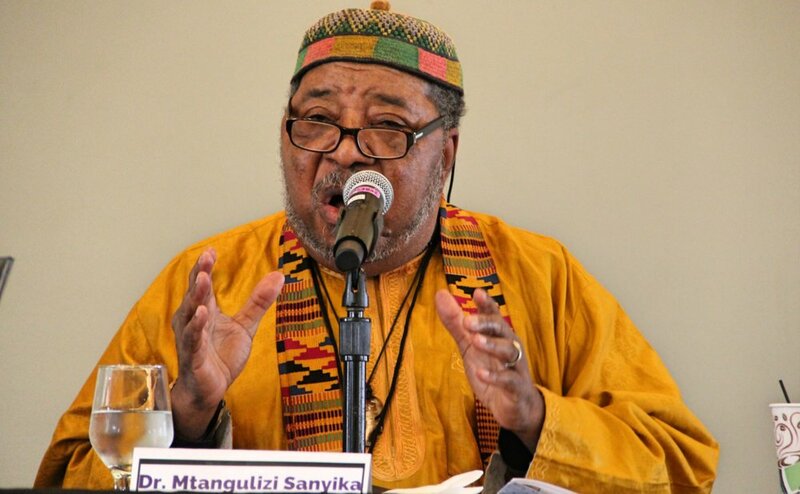 After law practice that included a federal clerkship, insurance defense and LGBT civil rights litigation, Mykal discerned a call to ministry and went on to receive a Master of Divinity degree from Union Theological Seminary in the City of New York. Mykal currently sits on the Content Development Working Group of the Center for African American Religion, Sexual Politics and Social Justice and serves as Vice-Chair on the Board of Directors for the LGBTQ Center of Durham. Leslie Mac is a Brooklyn born & raised activist and a first generation American of Jamaican ancestry. She created the Ferguson Response tumblr to connect nationwide efforts supporting the important racial justice movement started in Ferguson, MO. She has since expanded the Ferguson Response Network to provide resources & support for Black organizers nationwide. She was the co-creator of Safety Pin Box. Leslie servers as the Chair of the BLUU OC Board of Directors. CDR Royce W James, Ph.D.